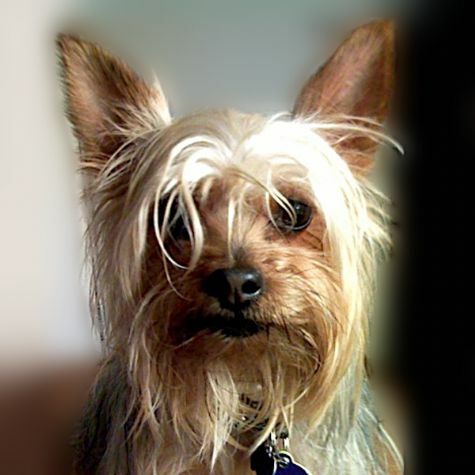 Mattie is a Silky Terrier. She weighs about 7 lbs. and is very sturdy for her size. The breed is from Australia, but Mattie doesn�t talk funny, like they do �down under.� She loves to do her tricks for the patients: she dances, plays hide-and-seek-the-treat, sits pretty, and speaks (in her hospital voice, of course). Her rollover-and-over trick always brings giggles. She thinks of herself as a working dog, although her official breed classification is Toy.